Washingtonians who work out—rejoice! There’s another bougie workout studio coming to the District, and this one is beloved by the likes of Kendall Jenner, David Beckham, Kevin Hart, and everyone’s favorite married duo, Justin Bieber and Hailey Baldwin. Rumble Boxing is a 45-minute workout class that combines boxing and strength training, and it will open its first DC location April 12. The $3 million West End studio will feature the signature urban-grit look Rumble is known for (think bleachers, graphic art, and black walls), with DC touches like a Notorious RBG mural and an homage to the Lincoln Memorial. 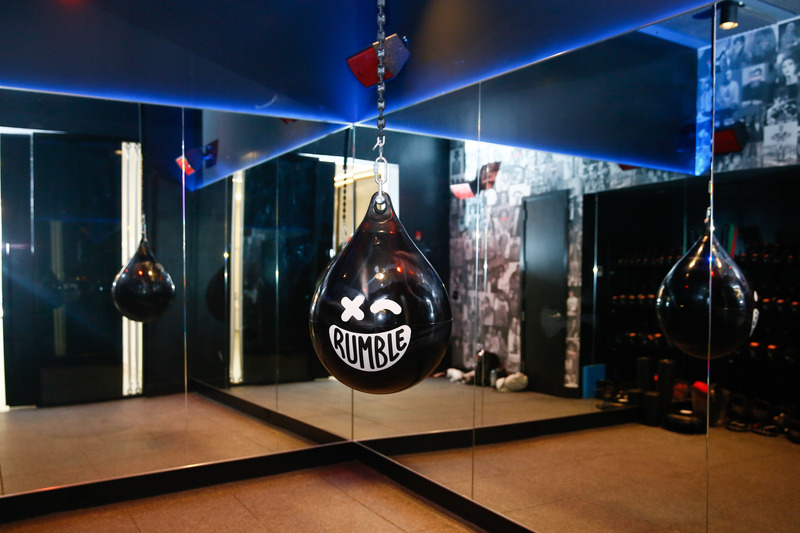 Rumble’s 180-pound water bags are specially designed for the studio. Participants alternate between boxing and strength exercises. The workout is broken down into 10 rounds, and participants switch back and forth between Rumble’s specially designed, water-filled boxing bags and strength-conditioning workouts. The DC location has one studio, but at 2,200 square-feet, it has plenty of room for the class’s 60-person maximum. And if you’re nervous about boxing for the first time, that’s okay. 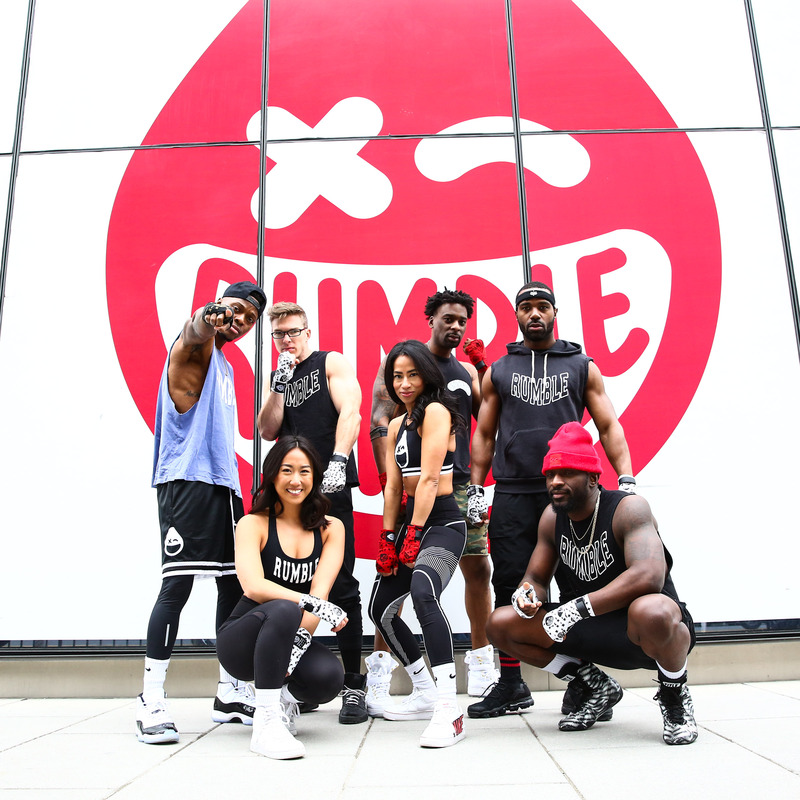 Rumble doesn’t offer beginner or advanced classes because the workout is formulated for everyone, says Neiman, and optional variations are offered on all exercises. If you become a die-hard Rumble acolyte, you can hit up their retail section for apparel designed by Travis Anderson, who also worked with Kanye West on his Yeezy line and Bieber on his line Drew House. And after class, check out the locker rooms—they come with showers, blow dryers, and products by Drybar and Cowshed. Rumble DC trainers Salu Gbla, Sharon Kim, Joshua Rasch, Mona Lavinia Garcia, Arnie Gaither, Kareem Cooper, and Dawson Saint Jour. It’s a busy month for the Rumble team. In addition to the new DC studio, a Philadelphia location opens April 5, joining pre-existing sites in Manhattan, Los Angeles, and San Francisco. 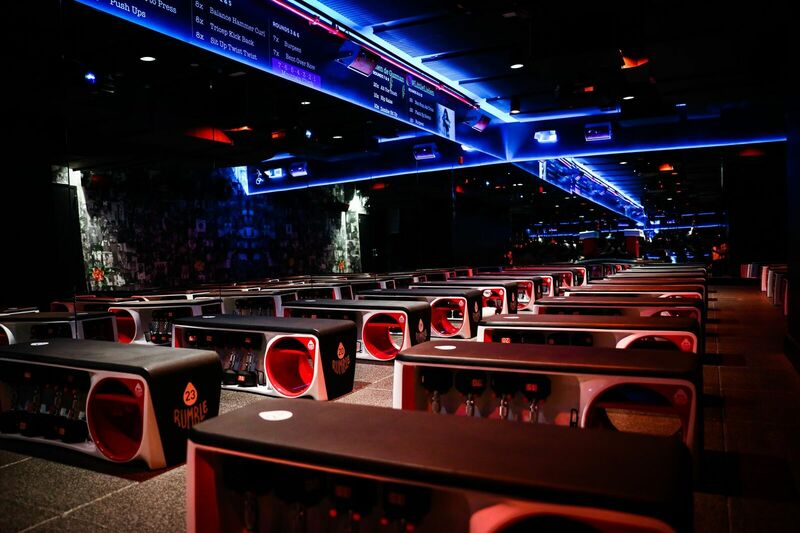 Studios in Palo Alto, Chicago, Boston, and Brooklyn are in the works, too, and the Rumble team will expand its offerings with Rumble Treading, a treadmill-based class that Neiman expects to launch by the end of the year. Pricing for DC Rumble classes start at $34; wraps are $8 and glove rentals are $3.